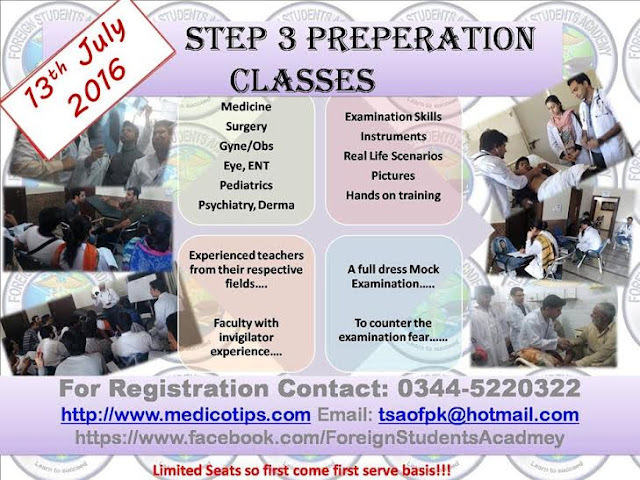 The new session of PMDC step 3 preparation will start from 13th of July, 2016. Dr. Tayyab Saeed Akhtar, FCPS Internal Medicine, conducts the classes under his supervision, The academy is there for the past 10 years and has 90 percent success rate. Those foreign students who need guidance and want to prepare for PMDC step 3 may apply for July 2016 session. Details are as follow.